Do you know that your soap bar was likely to be made using palm oil imported from Asian countries? I bet you know it. Palm oil has been since many years ago a hot commodity from many countries in Asia continent. Two countries that sell the most are Indonesia and its, neighbour Malayasia. Both are counted as the major supplier of Crude Palm Oil in the world. However, have you ever known where the seeds of palm oil came from as the species spread all over Asia was not originated from the continent. The original habitat was in West Africa. So, how come it arrived in Asia? 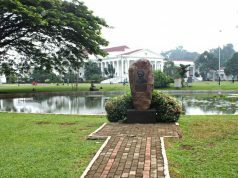 Perhaps, if you’ve ever come to Bogor Botanical Gardens, then you may see the answer. 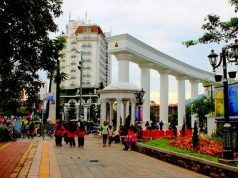 In the center of the Great Gardens, you will find a monument, quite unique monument. The picture is as shown on the very beginning of this writing. 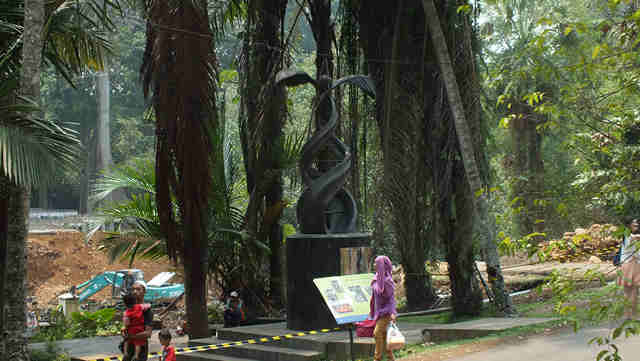 The name of the monument is Palm Oil Monument. It stands on the place where 4 ancestors of all palm oil trees in Asia planted. 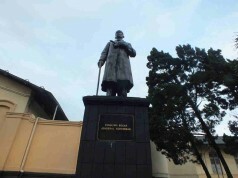 The curator of Bogor Botanical Gardens in 19th century, Johannes Elias Teijsmann was the key person in the event. He shipped 4 broodstock of palm oil from West Africa and planted in the Gardens. It was then spread to all over Indonesia and Asia. Unfortunately, the 4 palm oil ancestors were no longer there. The trees died long time ago. 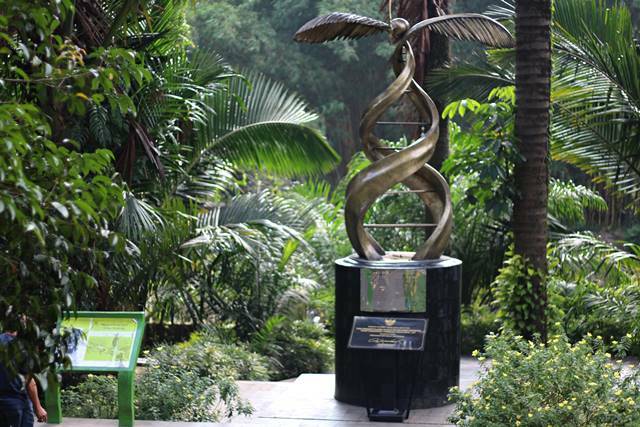 The Palm Oil monument replaced them on the same place to keep reminding people where all Asian palm oil tree came from and that all were from the same predecessor. 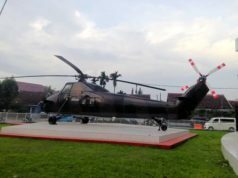 Taman Gantung – Sebuah Kesia-siaan?